One of the biggest festivals of the country, Sunburn will no longer have one of the countrya��s popular favourite artistes, Nikhil Chinapa. Instead, Chinapa will be seen collaborating withA�LIVE Viacom18A�as the festival director, a�?I am going to be working with them as an artist. I do not aim to make the festival bigger and better than Sunburn,a�? he begins. As for the new festival, Chinapa says, a�?We havena��t decided a name. I want the festival to be amazing. Order a masala dosa but what matters is who you are eating it with, what time of the day it is, what music is running in the background and if the girl at the opposite table looked at you and smiled. I think all these factors make the experience amazing.a�? The festival, scheduled from December 26 to 30A�will be electronic and may coincide with Sunburna��s dates. a�?My vision is to have 17 screens at the end of 10 years. I will also include camping in the third year of the festival,a�? he adds. Chinapa promises a lot of new talent, artistes from abroad and of course his wife and DJ, Pearl. 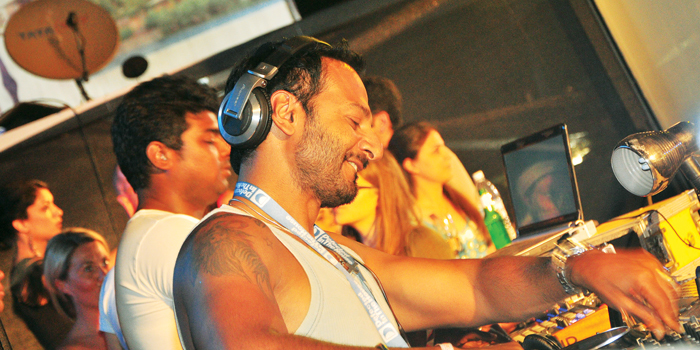 The venue will remain the same, Goa, though Chinapa agrees that our ECR could also be a great spot to host the festival. a�?I think goMAD is doing pretty good when it comes to Chennai. They should make it the biggest festival in Chennai. I did come for the latest version and it was well done.a�? He is also organising a festival for 21-year-olds. a�?This fest has no alcohol and will teach youngsters to be music producers. The fest will be conducted by professionals,a�? he concludes. More information about the new festival will be announced later this month.